The mother sat patiently in the well decorated lobby of the school. She had suspended all sense of time with the single-minded determination to meet the principal. Bright bulletin boards displayed art work by the students, current events with attractive posters of sports stars, a glass shelf tastefully showcasing many trophies that the school had won over a variety of conquests. She frequently found herself in this position, and the principal found it easy to predict her request. It was almost always about seeking leave for her child to participate in an upcoming national or international sports tournament. Sometimes she also came with a plea to stagger assessments. Would it be easy for her today? Probably not! Scenario: Schools actively support participation of their students at the local zilla parishad or inter- school events. They cherish wins and accolades here, but are loathe to give the same support beyond their boundaries. Leave of absence for a sports tournament or for that matter any other interest that the child may pursue beyond the scope of the school is a proverbial thorn in the crown for all adults on the campus. First, in supporting local level competitions, the school looks forward to glory for itself through the students. The school’s name gets splashed in the “School scape” column of the news dailies. The same fame is not evident once the player scales national or international heights when all glory shifts to the state and the country. Second, local school level events are absorbed in the annual school calendar and the principal and teachers do not have to spare extra time for completing missed portion/assessments when students travel out for tournaments to other states or countries. A good start might be for school leaders to examine their own understanding of the purpose/goals of education. The school world of teachers and principals is adequately full of terms like “all round education” or “holistic development”, “child-centered education”, etc. The idea of what the purpose/goal of education is fairly fuzzy amongst practitioners and gets further lost in all the clichés and umbrella terms mentioned. A sharp articulation of the same will draw out various goals that schools must set for the student in order to seriously cater to “holistic development”. Whichever way you look at it, these goals can broadly be classified as economic, social, and individual goals for all students. While all schools engage with economic goals (since the visible outcome of education must translate into a job for the student), most of them also limit their scope to just this. A few sensitive schools delve into social goals too (roughly translating into how you interact with society) and this road map is now fuelled strongly by the global awareness on environment sensitivity and cultural tolerance leading to respect for both, the world and her people. The last fact is ironical, since in the past decade and more of working with school leaders, we have seen Howard Gardner and his theory of Multiple Intelligence making undeniable inroads into many private and English medium schools across the country. It would not be misplaced to say that it has been the flavour of the season for the past few years. While the theory and its implications manifest themselves in surprising ways in the school infrastructure and classroom teaching, we seem to have given the spirit (of individual interests) behind the Multiple Intelligence theory a pass. Having paused for a moment to clarify our understanding of goals and the significance of helping students achieve individual goals, we can now consider some smart strategies to employ, given the complexity of achieving these two sets of goals – school driven and individual. How can a school navigate this cross current? Before boarding the ship with a compass it might be good to understand a school’s core role and responsibility towards students. The first and foremost business of the school is through transacting/teaching of the curriculum. The second responsibility of the school is a natural corollary of the first… assessment/evaluation to check for learning. Let us explore these core jobs a school must do effectively and examine how the load of new goals for individual students can be divided and shared in order to find solutions. To my mind, there are three hurdles to be crossed in the pursuit of individual happiness. The first two echo the school roles mentioned above and the third is clearly a hurdle strapped to the parent, yet let us explore how the school can assist and support here. 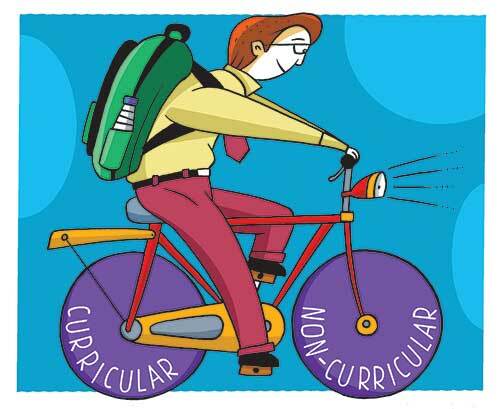 Schools, by their very existence cannot abdicate the responsibility of helping the student attain curricular goals. That is their chief raison d’être. Given large class strengths, empathy abounds when teachers say they find it taxing to spend time covering missed syllabus for a few students. However, if the school is truly aligned with the student’s individual goals, teachers will need to find time for essential concept clarification so that no student is left behind. Drill and practice in order to build skills can be transferred to the parent/home. The challenge is in finding balance by collaborating with parents for student learning. 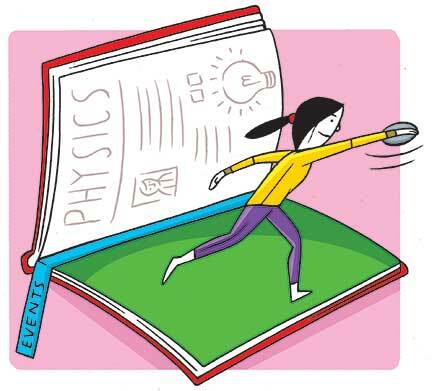 In today’s digital world, teachers are experimenting with recording their teaching, and sharing the audio/video material with students who miss school for different reasons. This, though not the real stuff, bridges the gap fairly effectively. More importantly, it shows that the school cares. The imaginary demon that bothers students and parents is assessments (formative).This is a tougher call and schools are unwilling to plan a staggered assessment calendar for students who miss the routine ones due to tournament/performance driven absences. Delving deeper, the reason might be homed in mistrust. Teachers perhaps fear contamination of question papers from students who have already taken the test. In the interest of authentic assessment, the wisest solution is planning a different set of test questions, drawn from a question bank linked to the same learning objectives as all other students with the same weightage in marks. Having donned the mantle of a teacher and school leader for decades, I know that this is hard work. But then who ever said teaching was easy? The simpler way is to trust the child and let her/him appear for the formative test everyone has answered. The teacher’s vast experience will help her see honesty in the answer script and assessment can be tempered with this. After all, formative assessments are not just mapped to the teacher’s teaching and the student’s learning, but to the teacher’s learning about her own teaching! Having reflected upon these two hurdles that are linked to a school’s core function, let us turn our attention to the home where such special children dwell and the parent who strives hard for her/his child to achieve the seemingly impossible dream. This brings into focus the third hurdle on the way of the student’s individual goal. National and international arenas entail enormous expenditure. Typically, parents get into the space as a hobby and before they know it talent is spotted and Hallelujah! …the bank accounts start dwindling. While the home battles with this new found stress alone, can we find a way in which the school can support this need? The most ardent and passionate school leaders might find it hard to convince managements to set aside funds for championing the cause. However, the chair of the school leader is a powerful one. S/he has connections in the parent body as well as the society outside. Some of these connections can convert to potential sponsors for students pursuing medal dreams. Risking outrage, I suggest the school principal can consider connecting parents of these students with such benefactors. The empathy thus shown will fuel the student’s passion and spur her/him further towards the goal. If school leaders can display autonomy in laying down policies for special students by providing assistance in teaching and learning, accommodating absenteeism, peripheral support for finance, graciously pulling back control on the student’s life, and allowing them to pursue their own dreams, we can look forward to engaged, motivated, and successful young adults. Parents then can spend less time waiting out in school reception areas and more on organizing and planning for training, travel, and tournaments. Champions are made when everybody rallies around them. The battle must be fought and won in the mind first, then on the board, field or court. This essay is based on my experiences as a school leader for over a decade and as a mother of a sports star. The author heads Shikshangan Education Initiatives, Pune and conducts programs on School Leadership-a course for School Leaders that deals with creating and sustaining leadership in educational organizations. She can be reached at devika@shikshangan.org.